A once in a lifetime opportunity! Seize the moment to become part of a legendary community with architecture similar to Bel Air, Buckhead, or Highland Park and a location in Quail Hollow, Westlake, Texas! Today, you have an exclusive opportunity to purchase a home site where this can all begin! This picturesque 188-acre gated community is set amidst one of the most desirable locations in all of North Texas. 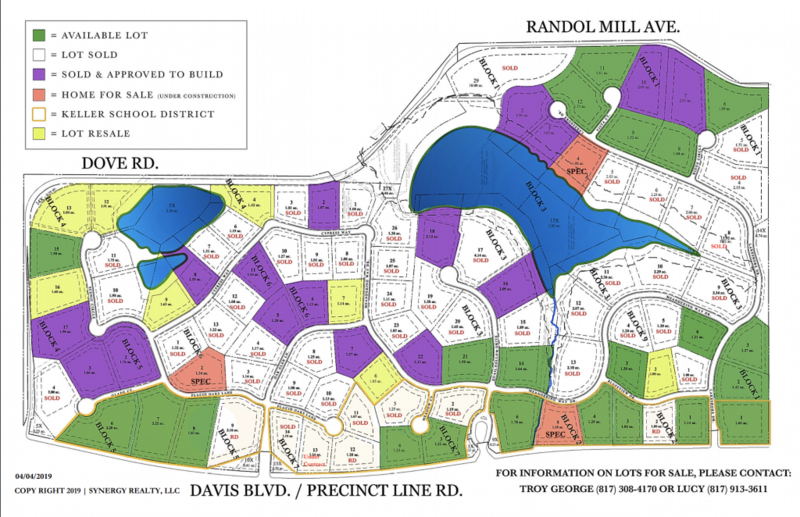 Limited to only 96 home sites, Quail Hollow is luxury living reserved for a select few. OVER 70% OF LOTS IN QUAIL HOLLOW ARE SOLD! Please Contact The Exclusive Realtors of Quail Hollow To Learn More.